Real-time events such as speeding, cornering, harsh braking or others visible to driver. The trip log starts without the driver’s interaction. There’s no need to start recording the trip. Well documented library for easy integration with Android and iOS apps. 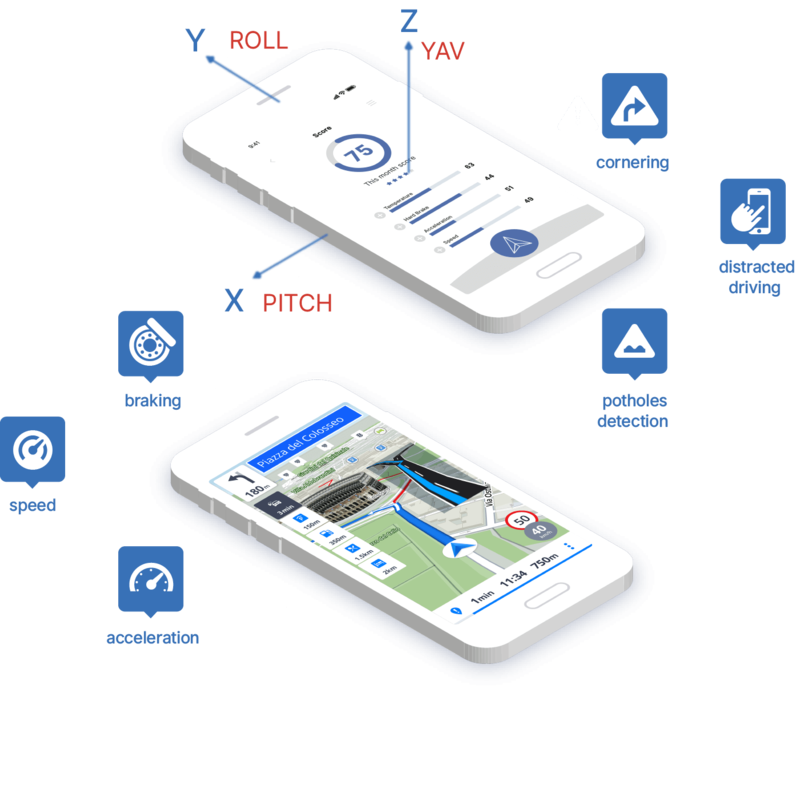 The Sygic unique algorithm evaluates the various aspects of the driving style and calculates a score of the driver’s behavior directly on the device using a combination of data from the accelerometer and GPS signal. Measured aspects: acceleration, speed, braking, cornering, the risk level of the road type and driving time, distracted driving, and pothole detection. There’s no need to start recording the trip. Each trip is registered automatically with no additional driver interaction needed. 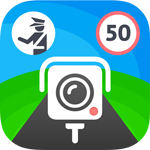 Trip recognition works also with application in background. We show to the driver events such as speeding, cornering, harsh braking or others in real-time, which will help shape the driver’s behavior and prevent misconduct. 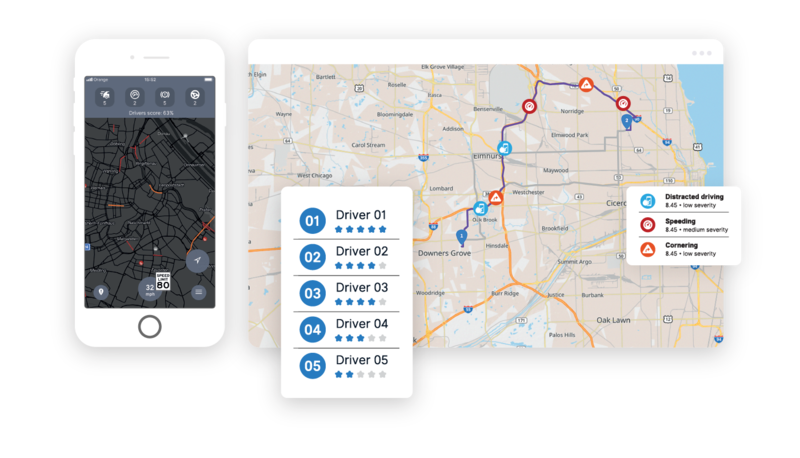 Real-time driver coaching is available for integration with any third party application. It can run on any Android, iOS, or Linux device. Engage with low-risk drivers, reward good driving styles, change or reduce the driver’s bad habits and reduce vehicle accidents and maintenance costs. Driver scoring uses five variables to calculate the score – speed, acceleration, braking, cornering, and distraction level. Each event is recorded in the route report and streamlined directly to the driver or dispatcher console. Interested in discussing your challenges with us? Get a quote, or just ask about our driver scoring evaluation. We are here for you.